Two four-story tall water slides, one a 253 foot closed flume “Speed Slide”. Zero depth entry, 7,326-square foot water playground with jets, sprays, slides and a 300 gallon “Dump Bucket”. 700 lounge and deck chairs. WiFi on Competitive pool side. Catch the latest in contemporary Christian Music Videos! Talk to us about a Movie Under the stars! Epic Missions has state of the art projection systems to make outdoor giant screen viewing a reality! Watch a movie with your team or worship along with Contemporary Christian Music Videos in true HD 1080p outside by the campfire! The clarity will astound you and relax you after a full day of missions service! Florida is also the #1 destination in the country for quality family entertainment! We are located only 15 minutes from some of the best beaches on the East Coast of Florida and are within 2 hours or less from Disney World, Epcot, Universal Studios, Sea world, The Holy Land Experience, Miami Beach, Fort Lauderdale, Busch Gardens, Wet and Wild. Most parks do not open until 9 to 10 a.m.. So a departure at 7:00a.m. gives you an absolutely full day! Superplay Amusement complex offers 10 pin bowling, a great sports restaurant and pool. Local theaters often have top tier talents both in comedy and music! Bring Sunscreen! You may customize your trip with us, and often that means taking one or more days for relaxation and sightseeing at a Florida destination made for fun and fellowship! We have access to discounted rates for most attractions in Florida. We will coordinate the purchase of your group tickets on your behalf and make the planning easy! We must know about you entertainment plans in advance of your trip so that we can coordinate your tickets. You will be required to pay for your tickets when they are purchased, in advance of your trip. Just over an hour west of SeaWorld Orlando near Florida's beautiful Gulf Coast, you'll find yourself on the edge of Africa at Busch Gardens in Tampa Bay. Experience up-close encounters with amazing animals, take an unforgettable safari across the Serengeti Plains, test your courage on pulse-pounding roller coasters, take in a stage show, and colorful live entertainment all year long. Florida Residents can pay for a day, and come back all year to enjoy all the thrills of Busch Gardens Tampa Bay. The Fun Card is your anytime ticket to new attractions and incredible entertainment throughout the year. Visitors to Florida can take advantage of our multi-park tickets that include our unique Length of Stay Benefit. This allows you the flexibility of unlimited admission during your vacation so you can come and go as you please, at no extra charge. Jump into the jungle at Jungala. Get face-to-face with orangutans. Test your strength in a wild game of tug-of-war with a tiger: any guess who will win? Explore the layers of the jungle in a three-story play area of mazes, ropes and crawl tubes. And kids can soar above the treetops on a zip line. It's the only jungle in the world that plays with you! If you're looking for thrills, challenge our incredible, floor-less dive coaster, SheiKra: 200 feet up, 90 degrees straight down. Take on the mighty Gwazi: a colossal wooden coaster with a record-breaking six fly-bys and crossing speeds of 100 miles an hour. Or take on Kumba, a roaring steel coaster that will leave you breathless. Take a walk on the beach or jog, it peaceful and beautiful here. The sand is perfect and so is the water, plus you may get lucky and find some nice shells to take home to remember you time there. South Beach is just minutes from Epic Missions Inc (this is an actual picture of South Beach) and we can tell you without question, it is one of the most beautiful beaches in the world! South Beach is in Vero Beach Florida, a charming town with much to do! SuperPlay USA offers 48 Lanes of Bowling, Arcade, Batting Cages, Laser Tag, Indoor 9-Hole Mini Golf Course & Race Simulator. 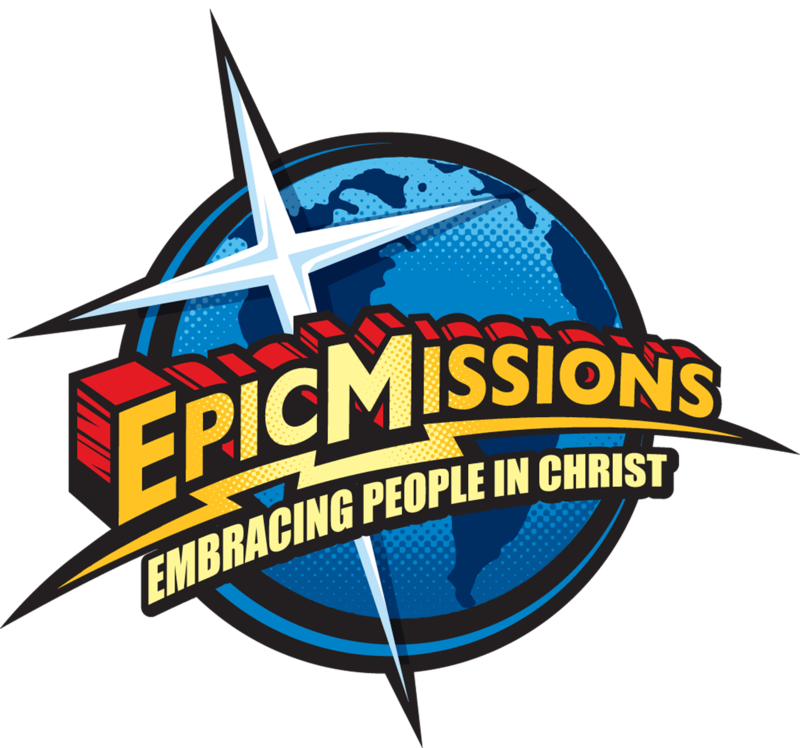 SuperPlay is just minutes away from Epic Missions in Port St Lucie, FL. Floridas' warm sunny climate is one of its main attractions, and the reason why so many people choose to both vacation and do missions in the Sunshine State. With a mainly sub-tropical climate - the extreme southern tip and the Florida Keys enjoy a truly tropical climate - Florida averages 300 days of sunshine a year, with pleasant warm winters and hot, sometimes humid summers. As former Connecticut residents, we can tell you that we have experienced many days that were much hotter and more muggy in Connecticut and Maine that we have ever experienced here in South Florida. One of the reasons why our weather is so nice, is because we are located so close to the ocean on the east coast! The coastal areas are cooler than inland, thanks to the sea breezes from both the Gulf of Mexico and the Atlantic ocean. In reality, our summers in Florida are very similar to the weather in the northeast with the exception of two major differences - we always have a breeze here at the coast, and we typically get a late day shower or thunderstorm. Most evening temperatures go down to 50 degrees in the winter and 70 degrees in the summer! Florida's weather - Warm sunny winters and hot summers There are two distinct seasons in Florida - the dry season, seen during the autumn and winter, and the wet season, occurring throughout the spring and summer. Although Florida attracts visitors all year round, the winter months are the peak tourist season, with temperatures averaging at 75 degrees and most days staying relatively dry. Summers in Florida are hot and wet, often with temperatures frequently reaching 90 to 92 degrees in the day. It tends to rain every day during the summer months, generally around 3pm, with the showers being heavy but not lasting very long. Weather in Florida - Frequent thunderstorms and plenty of lightning Floridas' climate is influenced by the Gulf Stream, which helps to maintain warmth and moderate the regions' temperatures. With plenty of moist air from the Gulf of Mexico and the hot tropical sun, the area sees many thunderstorms, and the state is well-known as being the lightning capital of the country - the cause of many injuries every year, especially on the numerous golf courses. The hurricane season in Florida runs from June to November, with the area seeing occasional tropical storms with high winds and heavy rainfall. Because we average over 300 days of sun each year - no matter what time you choose for a Missions Trip, the odds are great that your weather will be wonderful!